Why Choose this Nanny Agency serving Seattle for your nanny search? The childcare industry is always growing and changing - like the world around us! Our values at ABC Nanny Source are rooted from generations of good family and childcare - we never forget who we are and where we came from! We trusted our parents to give us the amazing live’s we have! Now it’s our passion to reflect that wholesome gift! Trust is a foundation of life itself! That is why we pride ourselves on the trust given to our agency - it is imperative to us that we uphold the standards of our 10-step screening process! We offer a trusted and experienced service where ‘our family’ of Placement Counselors give their detailed attention to family life and childcare! For decades we’ve placed nannies that are irreplaceable and ahead of the curve! It’s our sweetest delight to listen to children who have grown and thank us for their outstanding nannies and the impact they had on their lives! We will provide the Ideal Nanny for you! Guaranteed! Often times the security of childcare is overlooked. Rest assured knowing that we are focussed on filtering through the right checkpoints to become a registered ABC Nanny. Background checks, driving records, CPR certifications, Personality Evaluations, Social Security Traces to verify they are authorized to accept employment legally are just a few to mention that set us apart from the industry standards! Your childrens safety is in our hands and we take that very seriously. Digging through dozens of online resumes is exhausting. Checking references, qualifications, scheduling interviews, and finding the right fit can be downright overwhelming! The nannies we present to you have expressed an exciting appeal to working for your family! Usually, 3-4 profiles of hand selected nannies by our Placement Counselors are introduced to our clients according to distance, qualifications, family needs, and much more. The consideration and expedited process of the Placement Counselor is never taken lightly. 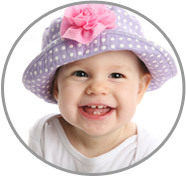 We provide our first-rate recommendations to give you some grace while selecting an ideal nanny. You may even have her start within a week if she’s needed immediately! We don’t stop there! We make ourselves available for anything you may need after the hiring process. ABC Nanny Source in Seattle is dedicated to the specific needs of our ABC families. Our customer service is a lifeline which is in tune with your personal satisfaction! We’re happy to be of convenience if and when you may have any questions whatsoever! Our caring and supportive ABC Placement Counselors are conscientious to understanding your unique family needs. They commit themselves to their ABC placements - finding you an elite nanny who will tailor her day depending on your family’s schedules!